Popular historic sites such as Tula Toltec Archaeological Ruins and Zona Arqueologica Malinalco are in your itinerary. Get in touch with nature at Parque Nacional Grutas de Cacahuamilpa and La Condesa. Go for a jaunt from Mexico City to Cuernavaca to see Palacio de Cortes about 1h 20 min away. There's still lots to do: examine the collection at Museo Memoria y Tolerancia, browse the eclectic array of goods at Mercado De Artesanias La Ciudadela, wander the streets of San Angel, and don't miss a visit to Murales de Diego Rivera en la Secretaria de Educacion Publica. For where to stay, other places to visit, and tourist information, you can read our Mexico City itinerary planning website . If you are flying in from United States, the closest major airports are Licenciado Benito Juarez International Airport, Querétaro Intercontinental Airport and General Francisco J. Mujica International Airport. 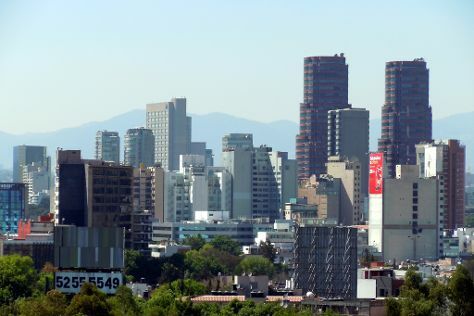 May in Mexico City sees daily highs of 79°F and lows of 57°F at night. Finish your sightseeing early on the 13th (Mon) so you can travel back home.